Are you ready to watch Paul the Apostle of Christ? Have you seen the movie Paul, Apostle of Christ? Is it worth seeing? Fr. 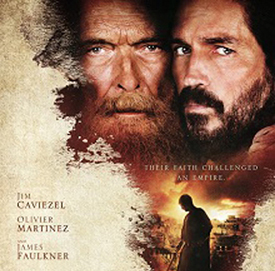 Paul Alvarez offers a review of the film starring Jim Caviezel as St. Luke and James Faulkner as St. Paul. He points out shadows and lights in the production, offering some guidelines to help you better analyze as a Catholic what you are viewing. 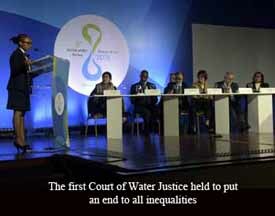 The final verdict on the 8th World Water Forum held in Brazil last month is out: Its goal is to encourage an anti-hierarchical fanaticism. This forum, promoted by the UN and applauded by the Vatican, uses water rights as a new ploy to promote egalitarianism and a One World Order. Read the final analysis of the series of articles we posted on the event here. Most of the rich symbols of the Passion of Our Lord have their roots in the Middle Ages, but there is one that comes from the American Continent. 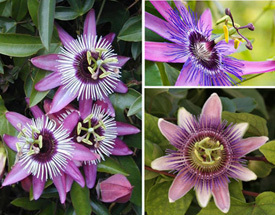 It is the exuberant and beautiful Passion Flower. The early Spanish and Portuguese missionaries saw this flower as a gift from God and used it to help explain Passion of Christ to the natives. Questo articolo é stato pubblicato 13 aprile 2018, 11:46 ed é archiviato sotto Saggistica. Resta aggiornato attraverso il feed RSS 2.0. Puoi lasciare un commento oppure inviare un trackback dal tuo sito. Sarebbe opportuna una bella traduzione. Se vuole, gliela spedisco in cinese.